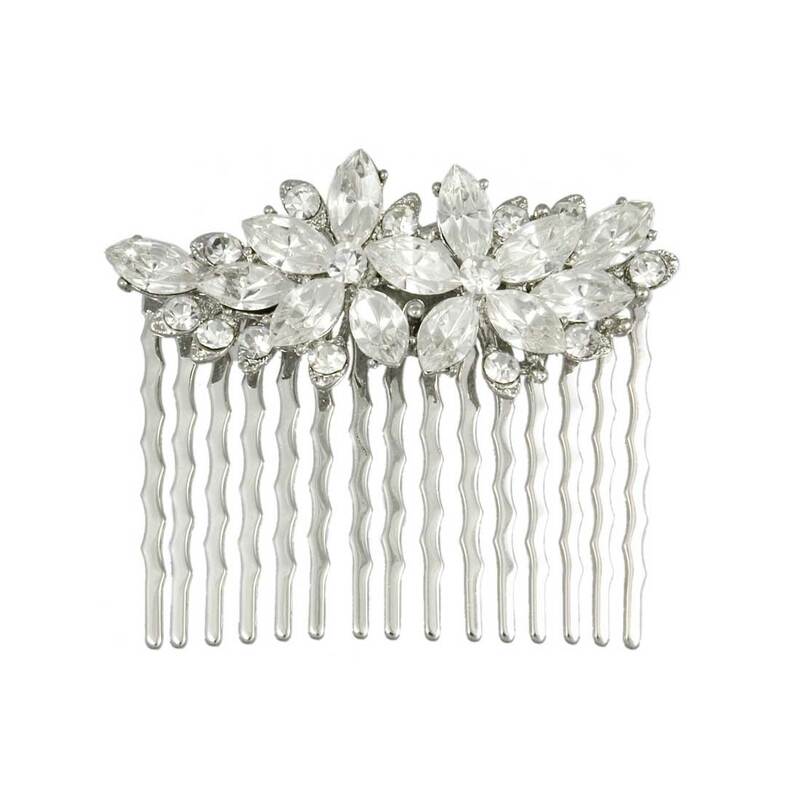 A beautifully subtle floral hair comb with an abundance of sparkle and vintage charm. The prettiest hair comb ever! Sparkling clear crystals are set in a floral design on an antique silver tone comb for total feminine style. The ideal hair accessory to adorn your locks with glistening shine, this hair comb will dress up party hair styles and will make the perfect wedding hair comb for brides and bridemaids.